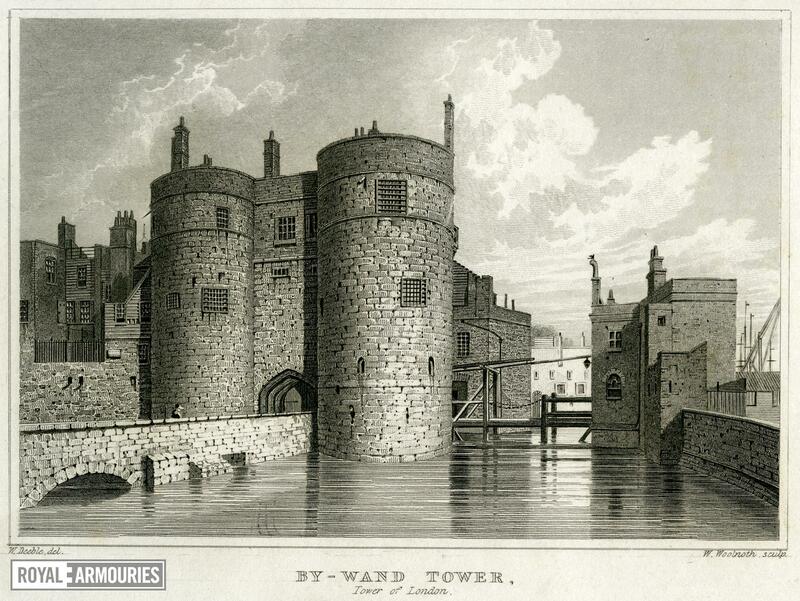 'By-ward Tower, Tower of London', about 1810. 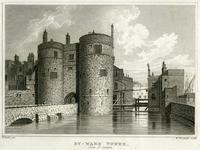 Engraving of the Byward Tower, Tower of London, from the west, showing the moat, the drawbridge leading to the Postern gate and the protected bridge-head on the wharf, with the west side of Traitors Gate in the back-ground. No publisher and no date given.